Diane Kordas titanium cuff bracelet from the Cosmos Collection. 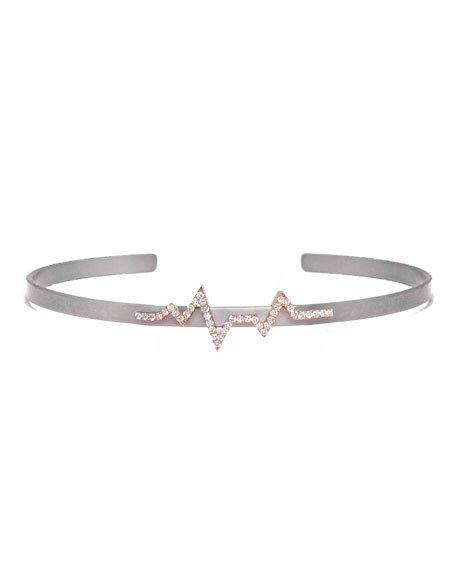 Diamond "heartbeat" station set in 18-karat rose gold. Lou Medium Thick Hoop Earrings, 2"